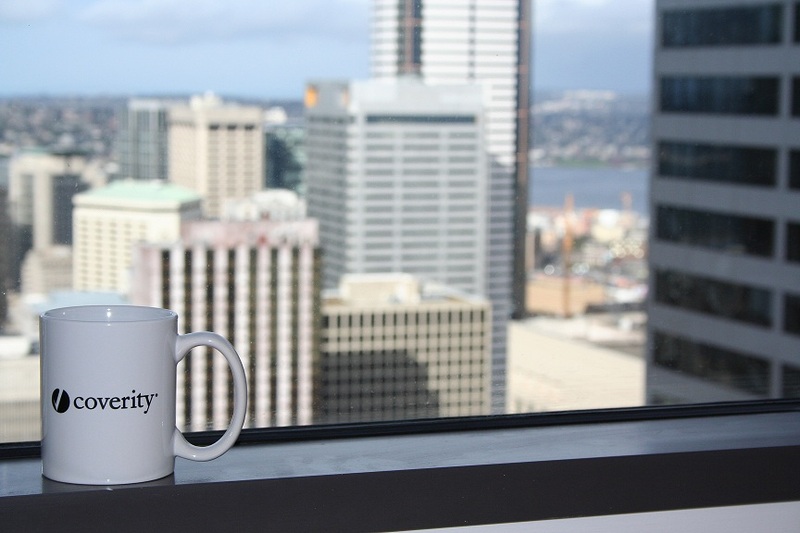 Today we set up Coverity’s Seattle office! I’ve spent the day unpacking boxes and booting machines and discovering why it is a bad idea to ship desktop machines with the hard disks in them. Aside from a minor hard disk mishap, everything has gone very smoothly. Special thanks to my colleagues Deidre and Jeff, who came up from San Francisco to get the network humming and make sure everything was taken care of. I haven’t gotten around to untangling all the wires yet, but we’re basically good to go here. Next time on FAIC: I’ll start a short series on the uses and abuses of the static constructor. Those are nice views, I have to walk in my place just to find a window, and when I do it’s only the car park. We are planning on moving to a multi-story building soon though, can’t wait for some views. I was in a new office for 4 years and the cables never got untangled 🙂 Your view is much better though! I keep TRYING to convince my boss we need an accountant up in the glorious PNW (Pacific Northwest) but so far, no luck. Enjoy those fantastic digs!!! 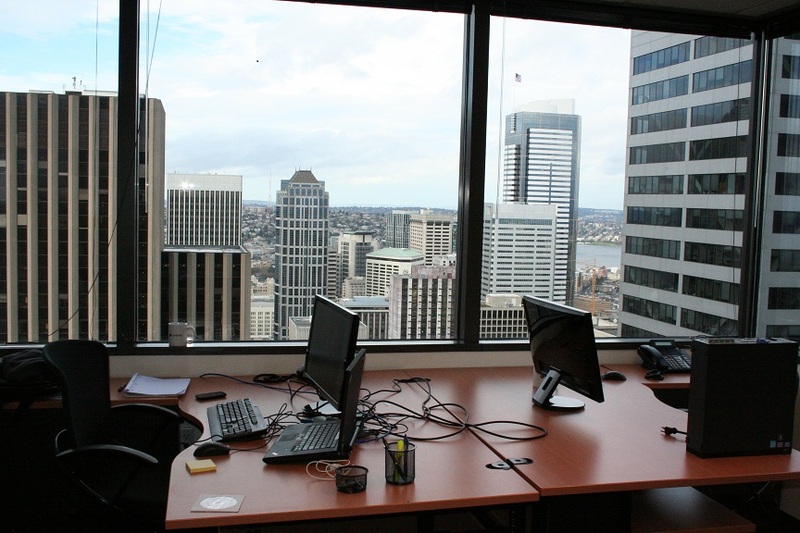 Personally, I’m somewhat suspicious of office views – in the worst case it can be a choice between glare and eyestrain. But that’s a pretty damn good view. Totally agree there, tiny monitors are horrible for work, it costs nearly nothing to get a 27 nowadays and it pays for itself within an hour with productivity! The single largest productivity boost i ever had was when i was working in my previous company and they accepted to switch the 19 for 24 screens. I couldn’t agree more! Every dev should have 28″ or larger monitor – the gains in productivity will pay for the monitor in short order. I find multiple smaller monitors much better than a single large one. Three 19 inch screens is the standard here (London, Financial), but you can have up to 8.